The original Yu-Gi-Oh! anime is remembered fondly not just for its over-the-top card game action, but for the characters beloved by many who grew up in the early 2000s. Maximillion Pegasus is one of those characters, not just for being the first villain Yugi Muto, Joey Wheeler and the rest of the Yu-Gi-Oh! crew challenge in the first season but for his redemptive arc and memorable disposition, brought to life by actor-director Darren Dunstan. 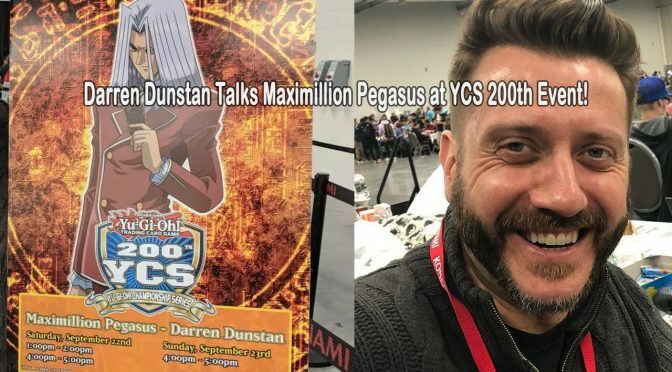 Dunstan has been involved with the Yu-Gi-Oh! franchise since it came overseas in 2001 as the voice of Pegasus. But fans of the series may not know he’s also directed the English voice casts for 5D’s, Zexal, Arc-V and the latest iteration, Vrains. That’s not to mention his directorial work on other series like Chaotic, Pokémon and many more. 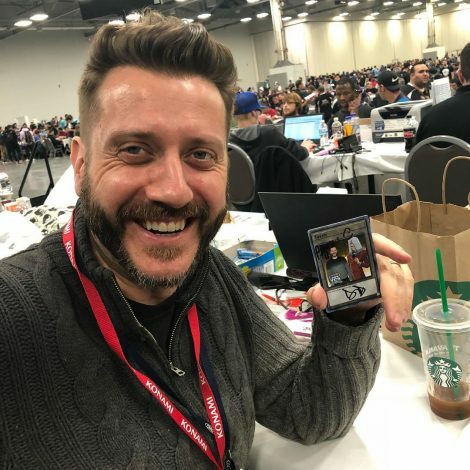 Newsweek caught up with Dunstan at YCS 200 in Columbus, Ohio to talk about being a part of the Yu-Gi-Oh!community, how he became Pegasus and his continued work on the series. When you got the Pegasus part, was it your first voice acting job? Yes, that was my first voice acting gig. I had never done anything like that before and they took a chance on me. On the other side now, theater actors transition really well to voice acting—just the energy you need to use and the choices you have to make. I enjoy casting theater actors now, being on the other side. So that was their approach in auditioning and casting me. What was your inspiration for Pegasus’ voice? When you first learned about the show, were you expecting the show to deal with much more than just card games? There’s magic and Egypt and all sorts of stuff. Initially it was just duels, and you didn’t know what Pegasus’s ulterior motive was. Then the backstory just fleshed it out nicely and gave everyone some depth. And in real life, live-action shows I watch are that way too. I love Alias, or Lost and shows that have lore and play the long game, instead of just an episode encapsulated. You’ve played Pegasus for some time now. How does it feel to be a part of the Yu-Gi-Oh! community? It’s amazing and crazy. It’s “cra-mazing” that a character is still valued so many years later, that a character would last that long.That’s rare no matter if you’re in theater or a voice actor. Gigs come and go, you can’t expect that it’s long-term. There’s an ebb and flow to these jobs, so I’ve been lucky to be able to keep doing it. Also as a director of the show, I’m in the studio all day long, in a windowless room with what we hope is a good show and product. Coming to these things gives you a refresher that people are watching us. Even though its an action-based show, it has an impact and it’s always a good reminder and motivation to keep doing good work. I was told that a fan came up to you during a signing and said the show and characters have changed their life. Is that the craziest thing you’ve heard today? That gave me a little tickle, when that person said that. Other times, in longer chats, people told me they felt unpopular or didn’t fit in, and this show helped them to become socially apt. Coming to these events, it brought people together and it’s a place to belong. You do a lot of directing now, is there a difference from acting? What’s your approach? They are quite different. They both require creative juices flowing, but acting is about trusting your instincts, not censoring yourself and not looking back. Directing is the opposite in a lot of ways. It’s measured. Number one, as a director, I get the script way before the actors do, so I have moments to graph out how the episode should be, understand the plot points and convey that to the actors. It’s a much more structured approach, which is a bit more of my personality. I like to be more calm and in control. From there, you hope the actors bring other creative variables to the table. It’s collaborative, but I’m still steering the ship. You’ve had a hand, in someway, in all of the seasons of Yu-Gi-Oh!, and they are all different tonally. What’s the process of getting the tone right? Initially, we have a sit down with my producer and Sam Urakami—who understands the show maybe better than anyone in-house and is a nice bridge between the Japanese and our version—just to discuss the tone of the show. You have Vrains, which is a little darker and there’s a new form of dueling in each series, so getting to wrap my head around that, there’s lots of lore and backstory in this season. That’s important to get from the outset. Then when casting begins, which is the next step, it’s important to get these pieces to the puzzle and have actors that can go that deep if they need to. Some are comedic or more bubbly characters, but some have to run deeper. What’s your favorite season of Yu-Gi-Oh! ?